Journalling is a fantastic way to keep yourself in a constant state of gratitude, even when the stress of planning a wedding starts to wear you down (I know that wedding planning is like a full time job in itself!). I love the idea of keeping a bullet journal full of special moments, stories and gifts that you’ve received during your time of wedding planning, and reading it back over when the post-wedding blues hit. It’s a gorgeous souvenir of this very exciting time, and one that will help you reflect on how lucky you are to be planning such an amazing wedding, even when the craziness hits! 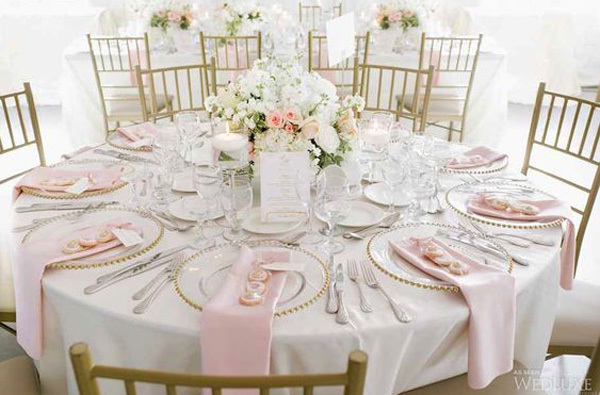 Wedding planning can be an extremely stressful time for a couple, no matter how long or short your engagement is, and it’s so easy to fall into the trap of spending every moment together talking about your wedding. I suggest taking some time, even just once a week, to put the wedding binder aside and go off and enjoy spending some quality time together doing an activity that you love. Maybe you both love going for bike rides, or playing tennis, or even just walking along the beach at sunset. Spending time together outdoors without looking on Pinterest doing an activity you both love is a great way to feel closer to each other and celebrate this special moment in your lives, plus the exercise will help relieve any pre-wedding jitters and stress! If you just got engaged over the Christmas period (Congrats!!! 💍), your ring is probably still so sparkly that it blinds people, but for the brides who’ve had their rings a little longer and maybe got some ham grease and crayfish juice on them, we recommend that you clean that sparkler regularly. Everyone loves to see your ring, and you don’t want to be showing off that rock with it still covered in rum ball bits. The best way to clean your ring is to make a mixture in a small bowl of very warm water and a little dishwashing detergent. Soak your ring for roughly half an hour, then gently brush the ring with a very soft toothbrush (a baby’s toothbrush is recommended), and rinse under warm water. Having a clean ring will make you want to show it off even more, and that’s what being engaged is all about! Even the best make-up artist in the world can’t make neglected skin look as smooth as the model in your make-up inspo pin on Pinterest, so we suggest getting onto your skincare plan ASAP. You generally won’t see massive differences in your skin until one to three months after starting a new skincare routine, so if you have acne, patches of dryness, or dermatitis and eczema, now’s the time to get cracking! If the thought of working out your own skincare routine scares you, we offer complimentary skincare consultations with our trained and qualified artists, who can help identify any skin issues to be cleared up before your wedding, and create a treatment plan for you, so that you’ll have a clear and smooth canvas for your wedding make-up artists. 5. Take some time out for just you, no wedding planning allowed! As I said earlier, wedding planning is a full job in itself, so it does consume your every moment of free time. You find yourself scrolling through Pinterest on your lunch break, trawling through thousands of blogs on the web reading everything that’s wedding related, and talking non-stop to your friends about ivory versus champagne, satin versus chiffon, lace versus tulle. It’s so important to take some time out for just you, because it’s easy to forget who you are outside of the ring and the fiancé/e and the white dress when your engagement period revolves around your wedding. Go join that exercise class that you’ve been dying to try (extra brownie points if you wear your “Shedding for the Wedding” tank 😂), maybe try a cooking class, or a crafting class, or just go out for drinks with the girls. I only have one rule for you: no wedding talk! What are your New Year’s resolutions for 2018? Do you have wedding resolutions on your list? I’d love to hear yours, so drop them in the comments below! I often joke to my newly engaged brides that when you first start wedding planning you almost need a glossary just to understand all of the different wedding terms that get thrown about- from boutonnière to bomboniere, to dais to damask, pew bow to pomander... it can make you go WTF! (which is an acronym for White Tie Formal, of course). Now, just to confuse brides-to-be even more, we have different types of wedding ceremonies, so it's not just your standard church-or-park wedding anymore. The newest kids on the block are Pop-Up ceremonies and Microweddings, and these are popping up all over Perth at present (please excuse the pun) as an alternative for couples who are looking for something a little more intimate that won't break the budget. Pop up weddings are generally arranged by a group of vendors: celebrants, photographers, florists, videographers, stylists; who together perform multiple short and sweet ceremonies in one location in one day. Couples generally have the ceremony site to themselves for up to two hours for a small amount of guests (generally up to 30 at the most). Champagne toasts and canapés are sometimes included as a mini "reception" post-ceremony. Pop-ups are a fantastic alternative for the low-key bride & groom who don't want the stress of wedding planning to over-shadow the excitement of being engaged and planning a future together. The vendors, location, and date are all set for you, so all you need to do is rock up! 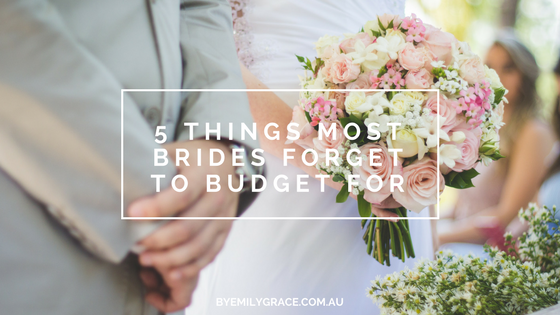 The vendors also choose the ceremony styling, floral arrangements and other decor, so there's no need for spending endless hours scrolling through Pinterest- they've got it sorted! I've had quite a few brides choose a pop-up wedding for their ceremony, and they've planned a reception for their friends and family at a nearby restaurant afterwards, as you do have to leave the ceremony site fairly promptly so that the vendors can prep for the next couple. Pop-up weddings have a set price of roughly between $1500-$2500 in Perth dependent upon the location, vendors involved and the included services. So then what is a Micro-Wedding? Micro-weddings are normal weddings on a much smaller scale- think with the bare-minimum of guests, generally 15 or less. Microweddings have really become much more popular of late, as more and more couples are choosing to shun traditions and make their wedding much more about what they want, not what tradition and society dictates. The result is a smaller, understated and ultra-personalised ceremony and reception that suits you, not your great-aunt Martha. Most couples who choose to go down the microwedding route skip the bridal party, and keep the big day as stress-free as possible. Microweddings are also a great alternative for those who love the idea of eloping to a unique and exotic destination, but want to involve those closest to them on the big day. The only drawcard to the microwedding trend is that you may hurt some feelings when cutting the guest list so harshly, but the result is a larger budget for the honeymoon! What do you think of these new trends of Pop-Up weddings and Microweddings? Are you planning your own Pop-Up or Microwedding? We'd love to hear what you think in the comments below!